Welcome to this week's Easy Way video! "How do I get work or study done when the kids are home with me?" And a couple of printable presents for you! 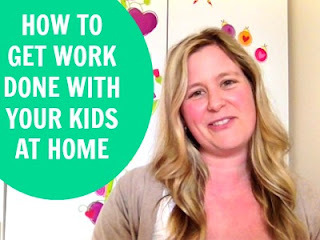 Want more tips and techniques for busy mums? Check out the Make Life Easy workshop - the next round starts January 7, 2013.